The works in the exhibition Blood Moon is a continuation of the photographic series Dream Logic. DREAM LOGIC is a photography series that explores the absurdity, horror and humor of dream life. One-third of our lives is spent in sleep, and within this time our brains never stop and are in constant activity conjuring up surreal visuals and stories while our body rests. During this time our subconscious emerges and plays on our inner fears, desires, anxieties, and loves depicting them in seemingly illogical, bizarre, horrifying and oftentimes dazzling glory. 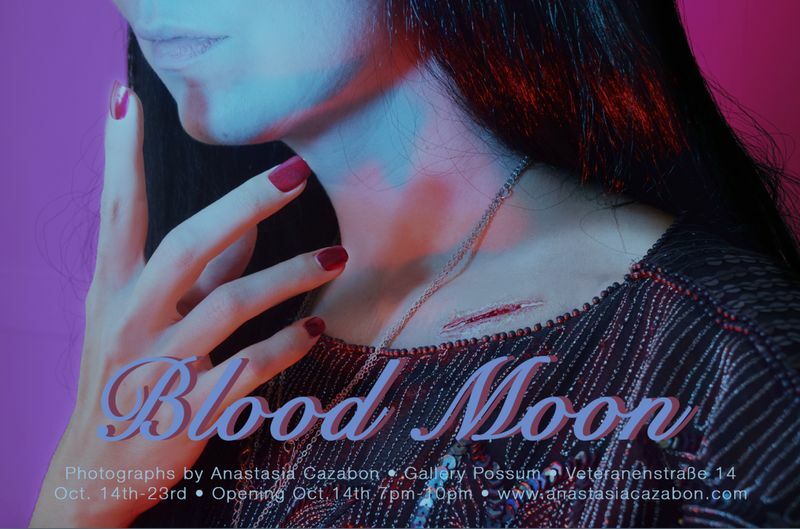 Blood Moon developed as a fictional film. A movie that only exists in film stills. It lives in the Dream Logic world. Blood Moon is a feminist horror/thriller, a genre that is usually dominated by the exploitation of women. This work is still developing and will explore more and more aspects of the narrative over time. 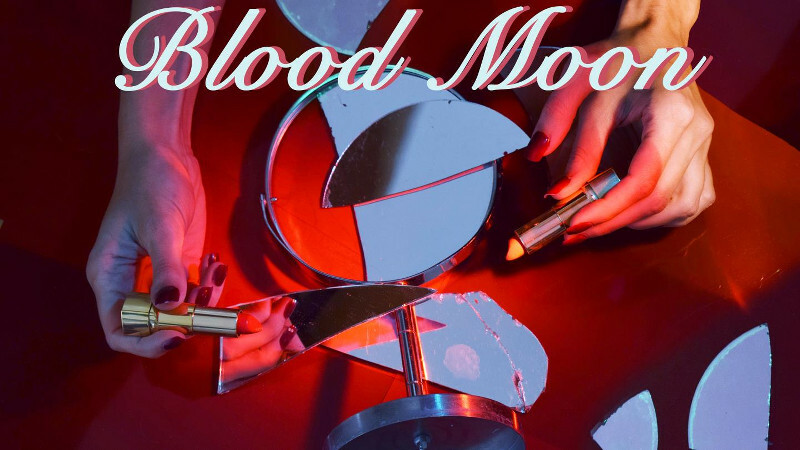 The title Blood Moon has obvious connections with menstruation and transformation, aspects of femininity that are usually hidden and not publicized. It is a world of witches, werewomen, nature, insects, transformation, artificiality, sexuality, horror and humor. The style of Dream Logic is inspired by Giallo Cinema, a genre of Italian cinema from the 1960’s and 70’s, that evoked horror, mystery and the supernatural. The style became famous for its surreal compositions, vivid colors, lush lighting and voyeuristic close-ups. This genre brings an odd combination of results that are disturbing, stunning, and oftentimes droll.